After a lengthy illness, Dr. Barbara Ann Staff of Grambling has transitioned from her temporary existence here on earth. She was 66 years old. Barbara’s parents, Mr. Malvin and Mrs. Ruth Lathan Staff, preceded her in death, and she is survived by two siblings, Mary Staff Arthur of Grambling and John K. Staff of Chesapeake, Va.
Barbara was born in Natchitoches. The first five years of her life were spent on her grandparent’s farm in the Spanish Lake community; however, for most of her childhood she grew up in Grambling, and was a proud graduate of Grambling High School. She confessed her belief in Jesus at an early age and was an active member of Mount Zion Baptist Church of Grambling until she left to earn her bachelor’s degree at what was then named Hampton Institute in Hampton, Va. Later, she returned to North Louisiana to earn her master’s degree in psychology at what was then named Northeast University in Monroe. Subsequent to that achievement, she moved to South Louisiana to earn her Ph.D. in psychology from Tulane University in New Orleans. 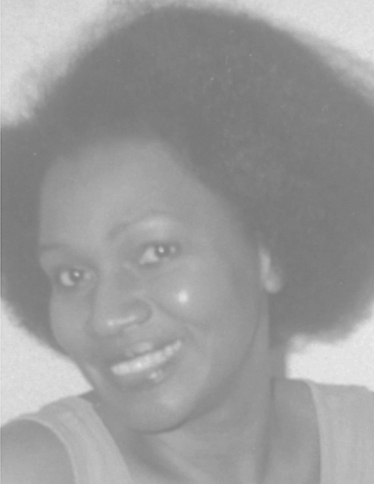 Barbara began her career in psychology as an instructor at Northeast University, and later served as a school psychologist in Orleans Parish. After leaving New Orleans, she served as a clinical psychologist in New York, and later moved from New York to Paris to study a developing approach in therapy. In Paris she worked as an au pair to help support herself while she studied. In addition, she took language classes to become fluent in French. Her last career move was to Queensland, Australia. Her goal was to connect with, study and work within the Aboriginal population, as she had noted similarities between their challenges and the challenges of African Americans in the United States. Earning her Australian citizenship in 1999, she became a dual citizen of Australia and America. After becoming ill, she returned to Grambling in the early 2000s. In addition to helping children and young adults in her position as a psychologist, Barbara enjoyed reading, writing, acting, singing and playing the piano and guitar—all interests ignited while growing up in Grambling. Barbara was a Life Member of Delta Sigma Theta Sorority, Inc.
A Quiet Hour in memory of Barbara was in the chapel of King’s Funeral Home in Ruston from 6-8 p.m. Friday, Nov. 3, 2017. Visitors were encouraged to use as little or as much of this time as desired to pray, meditate, reflect and contemplate—actions Barbara practiced and encouraged even in illness. There will be no funeral service, and Barbara’s interment at Grambling Memorial Garden will be private. In lieu of flowers, contributions can be made to Hampton University, the Ruston Chapter of the National Alliance on Mental Illness or Mount Zion Baptist Church of Grambling. At this time the family would like to thank those individuals who prayed for, encouraged and provided spiritual instruction and information to Barbara and her family and to those agencies and organizations that demonstrated care and compassion toward Barbara and her family during and after her illness. Your efforts and actions are sincerely appreciated. In addition, Barbara’s family would like to emphasize to each individual the importance of having a Louisiana Durable Power of Attorney for Health Care in place before illness strikes. A Louisiana Durable Power of Attorney for Health Care enables an individual to appoint an agent to make health care decisions when the individual is unable to do so. Having this document saves time and eliminates uncertainty in decision-making. Individuals can check online and at many local hospitals for forms and additional information.